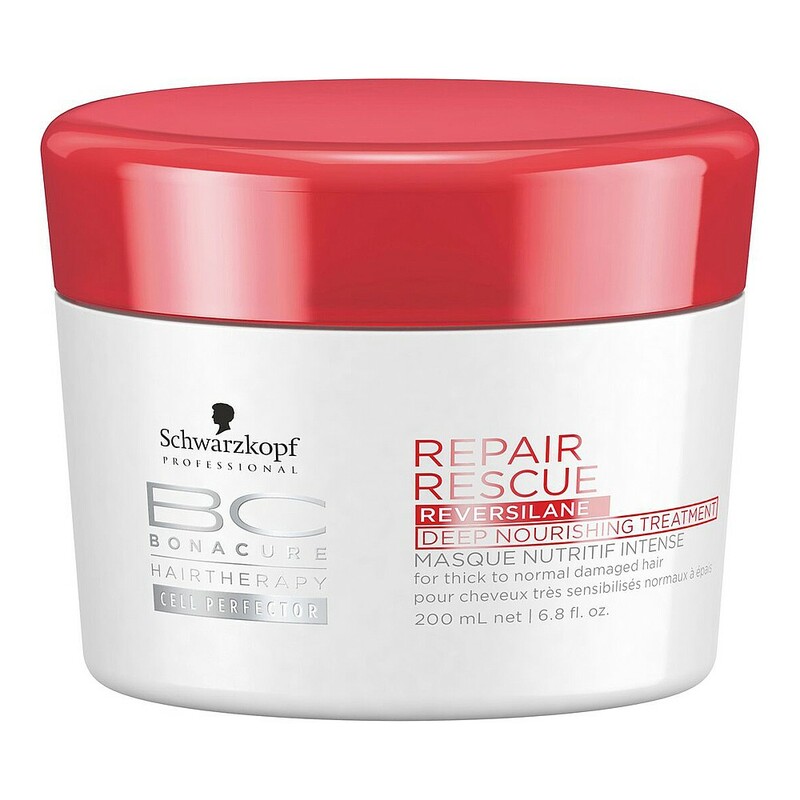 Bonacure Repair Rescue Deep Nourishing Treatment is the most intensive treatment in the repair rescue range with 2x more care ingredients for normal to thick extremely damaged hair. This treatment repairs and deeply nourishes very damaged hair. The formula with Cell Perfector and new Reversilane Technology brings back natural hair movement, strength and elasticity. Hair will be visibly transformed, deeply nourished and repaired without overburdening. Smoothes hair surface whilst delivering extra care and shine. Provides a long–lasting conditioning effect.